Yesterday I upped my word count for my WIP, "Snowed in with a Millionaire", to 33,400 words and counting. 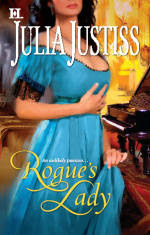 I've been enjoying reading a Regency from Harlequin Historical by Julia Justiss, so here is her advice for writers, from her website at JuliaJustiss.com. She's written numerous Regency romance novels for Harlequin. Creating characters that will entertain and involve readers; setting them in a world that can for a few hours transport people (including me) to another time and place. Worrying that my next book might not be as good as my last or won’t sell well enough for me to keep writing! All my books thus far have been set in the English Regency. It’s a glamorous era full of contrasts: elegant ladies and gentlemen, rough sailors and highwaymen and smugglers, enormous conflicts both domestic and international, all wonderful backdrops against which to set that most fundamental of stories: the search by one man and one woman for true, everlasting love. That’s like asking a mom which of her children is her favorite! I suppose my favorite characters have been Hal Waterman, from Wedding Gamble and A Most Unconventional Match, and Tony Nelthorpe from Wicked Wager and the on-line read By Honor Bound. What is your favorite recent Mills & Boon or Silhouette or MIRA title by another author? That’s as difficult as picking a favorite from my own books! Since I love all the authors from the historical line, I’ll just mention two authors I have followed for some years now, who have recent releases: Carla Kelly (Marrying the Capt ain) and Amanda McCabe (High Seas Stowaway). For MIRA, I loved Deana Raybourne’s two historical mysteries, Silent in the Grave and Silent in the Sanctuary. Believe in your gift and be persistent. The path to becoming and staying published is difficult, but if writing is all you really want to do, what makes you feel most fulfilled and happy, then keep at it, regardless of rejections and setbacks. Check out her website for the rest of the interview. Today I'll be increasing my word count to 35,500. I'll also be buying a new (used) car tonight, since our car is acting up for the last time. That might affect my ability to make my word goal, but I'll do my darndest to not let it!